It’s been far too long. With my compliments: an overdue podcast in this week of travel and transition into the gifting season (scroll for the song list). 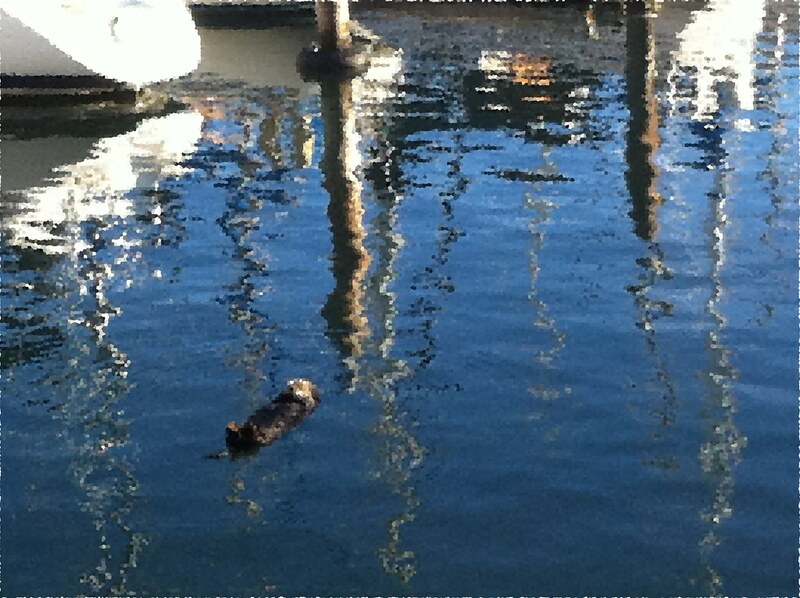 When I was in Santa Cruz recently, Margaret and I paused to watch an otter rolling over and over, sending ripples out to the surrounding boats. I was impressed by his adroit turns. This is making my commute on the Bart very pleasant.